United Airlines, for the eighth consecutive year, has received a perfect score of 100 percent on the 2019 Corporate Equality Index (CEI), a premier benchmarking survey and report on corporate policies and practices related to LGBTQ workplace equality, administered by the Human Rights Campaign (HRC) Foundation. "United is proud to receive this recognition as it speaks to our focus on building a more inclusive and caring workplace and customer experience," said Human Resources and Labor Relations Executive Vice President Kate Gebo. "We believe that advocating for inclusion is at the heart of connecting people and uniting the world, and United is determined to continue working with organizations such as the Human Rights Campaign to help champion LGBTQ inclusion." "The top-scoring companies on this year's CEI are not only establishing policies that affirm and include employees here in the United States, they are applying these policies to their global operations and impacting millions of people beyond our shores," said HRC President Chad Griffin. The 2019 CEI evaluates LGBTQ-related policies and practices including non-discrimination workplace protections, domestic partner benefits, transgender-inclusive health care benefits, competency programs and public engagement with the LGBTQ community. United's efforts in satisfying all of the CEI's criteria results in a 100 percent score and the designation as a Best Place to Work for LGBTQ Equality. United has worked with the Human Rights Campaign on its training initiatives including teaching employees about preferred pronouns and the persistence of gender norms and other steps to make United an inclusive space for both customers and employees. The airline's latest efforts include developing comprehensive training modules and exercises to continue employee education on how to be a better ally in both the workplace and to customers. Over the past year, United has also opened more LGBTQ Business Resource Groups across the country, reaching more employees. 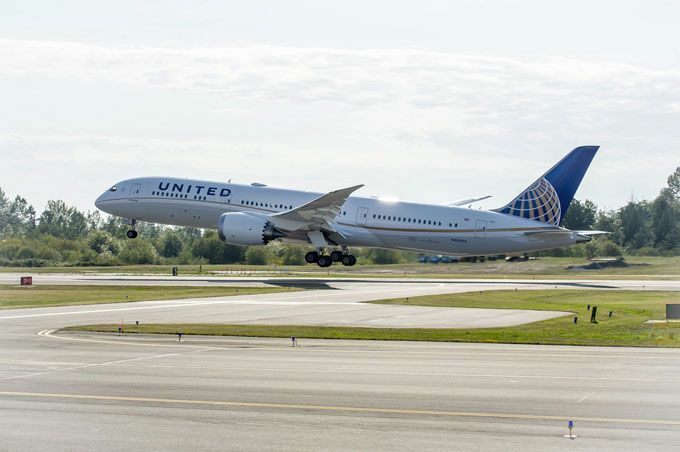 This recognition follows the airline's recent announcement that United became the first U.S. airline to offer non-binary gender options throughout all booking channels in addition to providing the option to select the title "Mx." during booking and in a MileagePlus customer profile. United customers and employees have the option to identify themselves as M(male), F(female), U(undisclosed) or X(unspecified), corresponding with what is indicated on their passports or identification.